Calling all MC College students: Kick start your career and apply for the Beacon Program! Apply to be a Beacon student and learn the skills you’ll need to manage a successful career. This is a great opportunity to network with the biggest names in the industry and with cosmetology students from across North America. Every year, hundreds of Cosmetology students apply but only 100 students are chosen to attend this career changing event. What is a Beacon student? 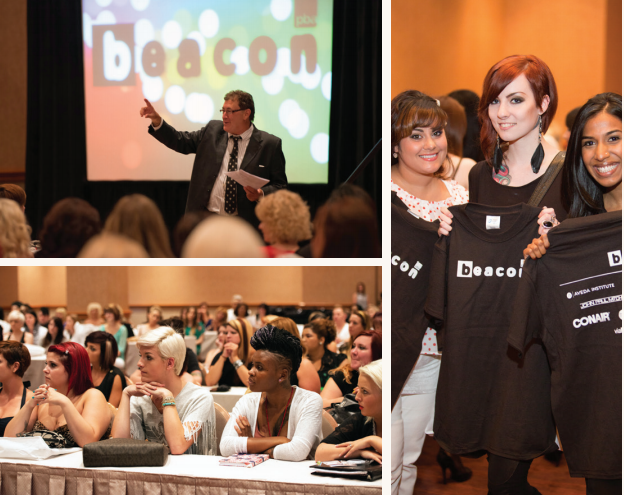 As a Beacon student, you’ll receive free tuition to attend the Professional Beauty Association’s Beauty Week events in Las Vegas, July 12-15, 2014! You’ll network with NAHA winners, high profile salon owners and stylists, and enjoy VIP seating at the awards ceremony. As part of PBA’s Beauty Week, you’ll have the opportunity to attend seminars in marketing, business operations, networking and leadership, taught by top beauty professionals and salon owners. Students also enjoy a private tour of Cosmoprof North America tradeshow to learn the important role of distributers and manufacturers in the beauty industry. What do you need to enter? To apply, you must be currently enrolled at MC College in the Hairstyling or Esthetics program between September 1, 2013 and April 1, 2014. -Your resume is judged based on the quality and level of professionalism, not by how much experience you’ve had. -The letter can be from a Director or Instructor, outlining why they think you will be a good candidate for the Beacon program. -you must submit 3 separate images of your work. “The images can be of your mannequin work or of a live model”. -Get CREATIVE! Submit a marketing piece to show who you are, why you chose the beauty industry and what your career goals are. -examples: website, magazine article, brochure, video or storyboard.